First space station mission. Record flight duration. Main telescope inoperative. Fire in space station put out. Fail-safe valve opening during re-entry, resulted in decompression and death of entire crew. AKA: Yantar (Amber). Launched: 1971-06-06. Returned: 1971-06-29. Number crew: 3 . Duration: 23.77 days. First space station flight, two years before the American Skylab. Equipment aboard Salyut 1 included a telescope, spectrometer, electrophotometer, and television. The crew checked improved on-board spacecraft systems in different conditions of flight and conducted medico-biological research. The main instrument, a large solar telescope, was inoperative because its cover failed to jettison. A small fire and difficult working conditions led to decision to return crew before planned full duration of 30 days. Capsule recovered June 29, 1971 23:17 GMT, but when the hatch was opened it was found that the crew had perished due to a loss of cabin atmosphere. A pressure equalization valve was jerked loose at the jettison of the Soyuz Orbital Module. The valve was not supposed to open until an altitude of 4 km was reached. The three-man crew did not have space suits. The Soyuz was thereafter redesigned to accommodate only two crew, but in spacesuits. The actual Soyuz 11 Prime Crew was Leonov, Kubasov, and Kolodin. Dobrovolskiy, Volkov, Patsayev were their backups (and support crew to Soyuz 10). Kubasov was grounded by physicians few days before launch, and the back-up crew ended up going instead. Family: Manned spaceflight. People: Dobrovolsky, Patsayev, Volkov. Country: Russia. Spacecraft: Soyuz 7KT-OK. Projects: Salyut. Launch Sites: Baikonur. Agency: MOM. 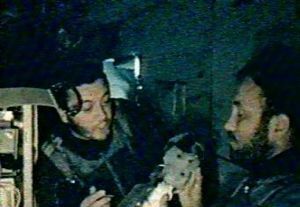 Volkov and Dobrovolskiy conduct medical experiments aboard Salyut 1. Notice name 'Zarya' in Cyrillic on the side. This name was abandoned after launch, and the station was renamed 'Salyut'. 'Zarya' was used again as the name for the first component of the International Space Station 28 years later. 1963 January 18 - . Soyuz expert commission - . Nation: Russia. Related Persons: Chelomei, Korolev, Smirnov. Flight: Soyuz 11. Spacecraft: Raketoplan, Soyuz A, Soyuz B, Soyuz V.
Smirnov insisted on the following after reviewing Korolev's design: 1) there must be a space suit for every crew member; 2) the spacecraft must be able to use lift during re-entry to change its landing point; 3) the spacecraft must have ejection seats. Korolev and his assistants categorically rejected these demands. Smirnov was only insisting on the availability of suits, not that they be worn at all times; and only on small lifting surfaces to give the capsule more manoeuvrability during re-entry. But Korolev rejected even this. Later the commission went to Chelomei's bureau to see his Raketoplan manned spaceplane design. But this was not even laid out on paper yet, with the draft project not scheduled to be completed until the end of February. Chelomei has already been working on this for two years. In January 1961 he gave a presentation to the General Staff and made big promises in regard to this spacecraft - but nothing has been completed. The only spacecraft that will be realistically available in the next three to five years is Korolev's - anything else would only be purely experimental. 1963 January 21 - . VVS Review of Soyuz - . Nation: Russia. Related Persons: Korolev. Program: Soyuz. Flight: Soyuz 11. Spacecraft: Soyuz A, Soyuz B, Soyuz P, Soyuz R, Soyuz V.
9K booster stage, with a fuelled mass of 18 tonnes. After docking with the 7K this is capable of boosting the combined spacecraft to earth escape velocity. The 9K is equipped with a 450 kgf main engine and orientation engines of 1 to 10 kgf. It will have 14 tonnes propellant when full loaded. Four sequential docking with a tanker spacecraft will be required to fill the tanks before the final docking with the 7K. 11K tanker, with a mass of 5 tonnes. The system will conduct fuellings and dockings in a 250 km altitude parking orbit, and be boosted up to 400,000 km altitude on lunar flyby missions. The system will be ready in three years. Military variants proposed are the Soyuz-P and Soyuz-R. Each spacecraft will have 400 kg of automatic rendezvous and docking equipment. Manual docking will be possible once the spacecraft are within 300 m of each other. Korolev still insists on an unguided landing and categorically rejects the use of wings. A parachute will deploy and slow the capsule to 10 m/s. Then a retrorocket will fire just before impact with the earth to provide a zero-velocity soft landing. Korolev still insists that spacesuits will not be carried for the crew. 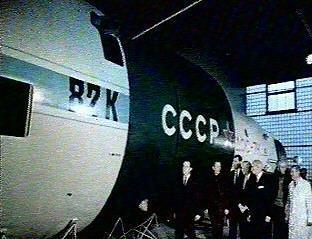 First test flight of the 7K, without docking, could not occur until the second half of 1964. 1963 January 23 - . VVS Generals discuss Soyuz - . Nation: Russia. Flight: Soyuz 11. Spacecraft: Soyuz A, Soyuz B, Soyuz V.
They decide that the VVS must insist on spacesuits or at least light pressure garments for the crew, and windows that will allow the crew to view the parachute cupola and ground during landings. It is agreed that the insistence on ejection seats and wings can be dropped. 1970 February 7 - . Soyuz 10 and 11 crew selections; Soyuz 9 experiment review - . Nation: Russia. Program: Salyut, Soyuz. Flight: Soyuz 10, Soyuz 11, Soyuz 9. Spacecraft Bus: Almaz. Spacecraft: Salyut 1. Kamanin meets with nine generals involved in supervising aspects of the space programme. Only one is from the VVS aviation, the rest have artillery or rocket backgrounds. Naturally they have no bad words for the RSVN or TsUKOS. At the centre, crew selection for the Soyuz 10 and Soyuz 11 missions to the DOS space station are underway. A review is conducted of the biomedical and zero-G studies planned for Soyuz 9. This is followed by a meeting with General Komarov and the cosmonauts on plans for the new cosmonaut training building and a nine-story apartment building. 1970 February 18 - . Kamanin opposes DOS - . Nation: Russia. Related Persons: Belyayev, Kozlov, Mishin, Smirnov, Ustinov. Program: Soyuz, Salyut, Almaz. Flight: Soyuz 10, Soyuz 11. Spacecraft: Almaz OPS, Salyut 1, Soyuz 7KT-OK, Soyuz OB-VI, Soyuz VI. Kamanin recommends the death benefit to be awarded to Belyayev's family. There is to be a one-time payment of 2,000 roubles to his wife; 1,100 roubles to his daughter; 180 roubles/month pension to the wife; 75 roubles/month to the daughter; access to cosmonaut centre sanatoriums; and a seven-room apartment in Moscow. 1970 February 26 - . Kamanin views DOS, continuation of N1-L3 with dismay - . Nation: Russia. Related Persons: Mishin. Program: Soyuz, Salyut, Lunar L3, Almaz. Flight: Soyuz 10, Soyuz 11. Spacecraft: Almaz OPS, LK, Salyut 1, Soyuz 7K-LOK, Soyuz OB-VI, Soyuz VI. The Ministry of Defence and VVS approve the draft DOS resolution. Kamanin has fought against it. He would prefer to develop a single reliable Soyuz spacecraft model by building and flying ten more (there are only four left of the original production lot in assembly). Instead the space leadership keep dreaming up new projects. In Kamanin's view, the DOS and its new Soyuz ferry design join Almaz, Soyuz VI, and the L3 as 'paper spacecraft'. Mishin still thinks he will 'teach the N1 to fly' and complete the L3, but Kamanin thinks the chances of this are nil. There is no coherent plan for Soviet spaceflight. 1970 February 27 - . DOS schedules, Soyuz Kontakt flights still in play - . Nation: Russia. Related Persons: Bogomolov, Mishin. Program: Soyuz, Salyut, Lunar L3, Almaz. Flight: Soyuz 10, Soyuz 11, Soyuz n 17, Soyuz n 18, Soyuz n 19, Soyuz n 20. Spacecraft: Almaz OPS, Soyuz Kontakt, Soyuz OB-VI, Soyuz VI. A meeting is held on the DOS project. The Central Committee and Soviet Ministers have directed that two DOS space stations be completed by the end of 1970. TsNIIMASH thinks this is impossible - the task can be accomplished in no less than 18 to 24 months. Mishin insists it can be done in ten months, as directed. Kamanin believes he won't even have it ready by the second half of 1971. It took five to seven years to just bring the Almaz, Soyuz VI, and L1 to flight status. This DOS will stop work on all other projects. Mishin still wants to fly two Soyuz spacecraft to test Bogomolov's Kontakt docking system for the L3. 1970 April 23 - . Mishin proposes crews for Soyuz 10 and 11. - . Nation: Russia. Related Persons: Feoktistov, Khrunov, Kolodin, Kubasov, Mishin, Patsayev, Rukavishnikov, Sevastyanov, Shatalov, Shonin, Volkov, Volynov, Yeliseyev. Program: Salyut. Flight: Soyuz 10, Soyuz 11. Two months after first raising the issue, Mishin has proposed crews for the flights to the DOS station, still planned to occur before the end of the year. Mishin is still pushing Feoktistov, who Kamanin believes is not only seriously ill, but immoral, being on his second wife. Kamanin now has 20 spacecraft crews, but they will have to wait six years or more for a trip to space at the current mission rate. Mishin's proposed DOS crews are as follows: 1 - Shatalov, Yeliseyev, Rukavishnikov; 2 - Shonin, Kubasov, Kolodin; 3 - Volynov, Feoktistov, Patsayev; 4 - Khrunov, Volkov, Sevastyanov. 1970 May 6 - . Soyuz 10 / 11 crew discussions. - . Nation: Russia. Related Persons: Dobrovolsky, Feoktistov, Kolodin, Kubasov, Leonov, Mishin, Patsayev, Rukavishnikov, Sevastyanov, Shatalov, Shonin, Volkov, Voronov, Yeliseyev. Program: Salyut. Flight: Soyuz 10, Soyuz 11, Soyuz 12 / DOS 1. Meeting on DOS crews. Kamanin will agree to Mishin's proposed crews with the following provisions: 1) Feoktistov is eliminated from the list; 2) Military cosmonauts must be on 3 of the 4 crews, with the overall ratio six military to six civilian cosmonauts. The proposed crews: 1 - Shonin, Yeliseyev, Rukavishnikov; 2 - Leonov, Kubasov, Kolodin; 3 - Shatalov Volkov, Patsayev; 4- Dobrovolsky, Sevastyanov, Voronov. Mishin is opposed to Dobrovolsky and Volkov. 1970 May 13 - . DOS crew assignments - . Nation: Russia. Related Persons: Mishin. Program: Salyut. Flight: Soyuz 10, Soyuz 11. Mishin and Kamanin sign a decree setting out the DOS crew assignments. The first DOS will not be orbited earlier than May-June 1971, probably even later. Kamanin played tennis with the Soyuz 9 crew..
1971 March 2 - . Cosmonaut press conference. - . Nation: Russia. Program: Salyut. Flight: Soyuz 10, Soyuz 11, Soyuz 12 / DOS 1. Spacecraft Bus: Almaz. Spacecraft: Salyut 1. Nothing is said of plans for launch of the DOS station, only a month away..
1971 March 3 - . Soviet of Chief Designers. - . Nation: Russia. Related Persons: Glushko, Mishin. Program: Salyut. Flight: Soyuz 10, Soyuz 11, Soyuz 12 / DOS 1. Spacecraft: Salyut 1, Soyuz 7KT-OK.
Vibration qualification test of the station test article are not complete. They will only begin on 5 March and will take two months using 3-shift work. Mishin wants the preliminary results on 20 March. Four complete Igla systems are required. Five have been completed and are working satisfactorily. The expiration date on the parachute installed in the Soyuz 10 capsule is 15 April. It will have to be repacked before the flight. There were numerous failures in the first phase of environmental control system qualification tests. They have to be repaired before the second phase can even be started. Mishin wants the first crew to stay on the station for 30 days, the second crew 45 days. Glushko and the doctors say this is a grave risk. 1971 March 5 - . Launch of DOS#1 is set for 15 April. - . Nation: Russia. Related Persons: Mishin, Serbin, Shonin, Smirnov. Program: Salyut. Flight: Soyuz 10, Soyuz 11, Soyuz 12 / DOS 1. Spacecraft Bus: Almaz. Spacecraft: Salyut 1. Kamanin is still fighting the issue of mission length - he doesn't want to risk lives. Soyuz 9 landed virtually in the laps of the doctors, but what if they had made an emergency landing in the ocean, or taiga? They were in no condition to save themselves before assistance arrived. Every day over 20-22 days is a risk to the life of the crew, in Kamanin's view. Smirnov, Serbin, Mishin - they don't care about this. Meanwhile the doctor's verdict is in on Shonin. He is to be sent to a sanatorium for rehabilitation. 1971 March 6 - . Space Plan for 1971 unrealistic. - . Nation: Russia. Program: Salyut, Almaz. Flight: Soyuz 10, Soyuz 11, Soyuz 12 / DOS 1. Spacecraft: Almaz OPS, Salyut 1, Spiral OS, TKS. The space plan for 1971 has finally been approved. There are to be three space stations launched, manned by ten Soyuz launches and a total of over 12 different crewmembers in space during the year. But it is clear to Kamanin that the second DOS and first Almaz station will not really be ready this year. And there won't be more than two Soyuz and two TKS transports available by the end of the year. Ranazomov says that Chelomei's TKS, being designed to fly to the Almaz, will cover many of he same requirements of the Spiral spaceplane. He proposes that Mikoyan should collaborate with Chelomei on Spiral. Meanwhile simulators at TsPK remain underfunded. 1971 March 9 - . Major DOS training exercise by first crew. - . Nation: Russia. Related Persons: Anders, Rukavishnikov, Shatalov, Yeliseyev. Program: Salyut. Flight: Soyuz 10, Soyuz 11, Soyuz 12 / DOS 1. Spacecraft Bus: Almaz. Spacecraft: Salyut 1. A major training session is held with Shatalov, Yeliseyev, and Rukavishnikov. They make a 15 hour simulated 'flight' aboard the DOS trainer from 09:15 to 22:45. All operations expected in a thirty-day mission to the station are gone through. This includes simulation of emergencies to test the reactions of both the crew and ground controllers. Kamanin receives a letter from Anders, thanking him for the tour of Star City. Representatives from the Swedish firm are in town to negotiate the contract for the TsF-18 18-metre radius centrifuge. Both Korolev and Mishin fought against the VVS getting such a centrifuge. 1971 March 11 - . Major DOS training exercise by second crew. - . Nation: Russia. Related Persons: Kolodin, Kubasov, Leonov. Program: Salyut. Flight: Soyuz 10, Soyuz 11, Soyuz 12 / DOS 1. Spacecraft Bus: Almaz. Spacecraft: Salyut 1. Leonov, Kubasov, and Kolodin train in the DOS simulator..
1971 March 15 - . Major DOS training exercise by third crew. - . Nation: Russia. Related Persons: Dobrovolsky, Patsayev, Sevastyanov, Shatalov, Volkov, Yeliseyev. Program: Salyut. Flight: Soyuz 10, Soyuz 11, Soyuz 12 / DOS 1. Spacecraft Bus: Almaz. Spacecraft: Salyut 1. The third, back-up DOS crew of Dobrovolsky, Volkov and Patsayev train in the DOS trainer. All of the crews have made good runs, with no mistakes or failures. Shatalov, after training on the DOS simulator, now supports Mishin's 30 day flight approach. He has also talked to Yeliseyev and Sevastyanov about the matter. He believes there may be a very different reaction to zero-G from individual to individual, and the Soyuz 9 crew may have been the wrong two individuals. 1971 March 17 - . State Commission on DOS. - . Nation: Russia. Program: Salyut. Flight: Soyuz 10, Soyuz 11, Soyuz 12 / DOS 1. Spacecraft Bus: Almaz. Spacecraft: Salyut 1. The crews, station, and Soyuz spacecraft are all ready..
1971 March 19 - . State Commission for Launch of DOS#1. - . Nation: Russia. Related Persons: Mishin. Program: Salyut. Flight: Soyuz 10, Soyuz 11, Soyuz 12 / DOS 1. Spacecraft Bus: Almaz. Spacecraft: Salyut 1. The VVS insists that the Soyuz 10 crew land in daylight. Mishin says that in order that the crew can land in daylight at the end of the 30-day mission, the spacecraft must be launched at 03:00 at night. Kamanin believes this also to be unsafe..
1971 March 20 - . DOS crews arrives in Baikonur. - . Nation: Russia. Related Persons: Dobrovolsky, Kolodin, Leonov, Patsayev, Rukavishnikov, Shatalov, Volkov, Yeliseyev. Program: Salyut. Flight: Soyuz 10, Soyuz 11, Soyuz 12 / DOS 1. Spacecraft Bus: Almaz. Spacecraft: Salyut 1. Shatalov's crew arrived at 09:00 aboard a Tu-104 and were ensconced in Room 14 of the Hotel Kosmonavt. Two further Tu-104's arrived 20 and 30 minutes later with the second and third crews. At 18:00 they all went to the MIK assembly hall to view the two Soyuz spacecraft and the station. There were electrical problems with the station, and they finally returned to the hotel at 24:00 without the problem having been resolved. Kamanin notes two films are to be screened tomorrow - a Bulgarian movie and the Soviet film 'Diplomat'. 1971 March 21 - . DOS communications tests at Baikonur - . Nation: Russia. Program: Salyut. Flight: Soyuz 10, Soyuz 11, Soyuz 12 / DOS 1. 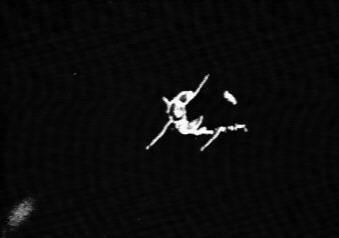 Spacecraft: Penguin, Salyut 1. Due to problems with the electrical system aboard the station, the crews are unable to start their training aboard the actual station until 22:00. So after breakfast they work on their flight plans and logs and test the training suits to be used on this flight for the first time. This includes the Penguin suit which has elastic bands sewn into it to simulate the strain of gravity. At 17:00 the crews go to the MIK and start communications tests on the DOS. All proceeds normally. On the bus back, the crews discuss the new tracking ship Yuri Gagarin. It has a displacement of 45,000 tonnes and cost 120 million roubles. It will expand the time communications are possible with the ground during the long station flight. 1971 March 22 - . Problems with Igla system on DOS. - . Nation: Russia. Related Persons: Mishin, Shabarov. Program: Salyut. Flight: Soyuz 10, Soyuz 11, Soyuz 12 / DOS 1. Spacecraft Bus: Almaz. Spacecraft: Salyut 1. There are problems with the Igla rendezvous system and also the stabilisation systems aboard DOS#1. The April 15 launch date is not realistic, according to Shabarov's deputies, although he himself says he can still meet the schedule. From 12:00 to 16:00 the cosmonauts participate in communications tests between the Soyuz spacecraft and the station. They go all right, but there are many problems with the ground segment. Mishin arrives in the evening. He has to give the VPK the final word on 27 March as to the launch date for the station. Shabarov is afraid to tell Mishin about the problems they are having with the Igla system. 1971 March 23 - . Cosmonauts return to Moscow from Tyuratam. - . Nation: Russia. Related Persons: Dobrovolsky, Kolodin, Leonov, Patsayev, Rukavishnikov, Shatalov, Volkov, Yeliseyev. Program: Salyut. Flight: Soyuz 10, Soyuz 11, Soyuz 12 / DOS 1. A four-story school burned down the previous night in Leninsk. The cosmonauts and space centre technicians watched the USA-USSR ice hockey match, which went from 23:00 until 02:00 the next morning. Kamanin returns to Moscow aboard a Tu-104. Aboard the flight the political intrigues surrounding selection of Kamanin's deputy are discussed. 1971 March 25 - . DOS#1 Launch Commission. - . Nation: Russia. Program: Salyut. Flight: Soyuz 10, Soyuz 11, Soyuz 12 / DOS 1. Spacecraft Bus: Almaz. Spacecraft: Salyut 1. The launch date, time, and first mission duration are debated. The VVS specialists now say a night landing by a Soyuz is acceptable from a safety point of view. Only two months earlier they were rejecting the possibility - these are people without principles, in Kamanin's view. He believes the crew's lives will be at risk with the planned thirty day flight duration. 1971 March 26 - . VPK meets at the Kremlin. - . Nation: Russia. Program: Salyut. Flight: Soyuz 10, Soyuz 11, Soyuz 12 / DOS 1. Spacecraft Bus: Almaz. Spacecraft: Salyut 1. The launch of DOS#1 is set for 15-20 April. The first crew will launch three days later on a thirty-day mission. 25 days after they return to earth the second crew will be launched. That crew will stay aboard for 30 to 45 days. The spaceships and crews are declared ready for both missions. 1971 April 6 - . DOS cosmonauts fly to Tyuratam. - . Nation: Russia. Related Persons: Dobrovolsky, Kolodin, Leonov, Patsayev, Rukavishnikov, Shatalov, Volkov, Yeliseyev. Program: Salyut. Flight: Soyuz 10, Soyuz 11, Soyuz 12 / DOS 1. Spacecraft Bus: Almaz. Spacecraft: Salyut 1. Kamanin, the DOS crews, and 40 VVS specialists fly to Tyuratam. VVS medical officers have to battle outbreaks of measles, rabies, and dysentery at the cosmodrome. The crews are medically isolated in the Hotel Kosmonavt. In the evening they watch the film '300 Spartans'. 1971 April 7 - . DOS crew commanders inspect completed DOS#1 station. - . Nation: Russia. Related Persons: Dobrovolsky, Leonov, Shatalov. Program: Salyut. Flight: Soyuz 10, Soyuz 11, Soyuz 12 / DOS 1. Spacecraft Bus: Almaz. Spacecraft: Salyut 1. Shatalov, Leonov, and Dobrovolsky are all working hard on final preparations for DOS-7K. The station is fully complete. Only small defects have been noted. This is the first look by the crews at their future home in space in its fully completed version. On the bus back to the hotel the cosmonauts discuss the poor quality and inedibility of 'space food'. 1971 April 8 - . Soyuz 10 crew preparations. - . Nation: Russia. Related Persons: Rukavishnikov, Shatalov, Yeliseyev. Program: Salyut. Flight: Soyuz 10, Soyuz 11, Soyuz 12 / DOS 1. The DOS cosmonauts are working on their flight plans/logs at Area 17. Kamanin discusses the physical training of crews for long missions with Stepanov. They must do thirty minutes of vigorous exercise per day..
1971 April 9 - . State Commission meets at new MIK. - . Nation: Russia. Related Persons: Rukavishnikov, Shatalov, Yeliseyev. Program: Salyut. Flight: Soyuz 10, Soyuz 11, Soyuz 12 / DOS 1. DOS-7K#1 will be ready on 19 April. The first crew is completely trained. During the day the engineers of the second and third crews train aboard the station. Afterwards the technicians fix the defects they have noted. The evening film is 'Beginning'. There are many high-level guests at Area 2. After the film the brass try out the training machines that will be used aboard the station - they tire quickly. 1971 April 11 - . Cosmonaut fishing trip cancelled. - . Nation: Russia. Related Persons: Dobrovolsky, Kolodin, Leonov, Patsayev, Rukavishnikov, Shatalov, Volkov, Yeliseyev. Program: Salyut. Flight: Soyuz 10, Soyuz 11, Soyuz 12 / DOS 1. Weather continues cold and windy, but clear, at the cosmodrome. Leonov wants to take the DOS crews fishing on the Syr Darya River, but he is vetoed by the doctors. They were afraid they might catch cold..
1971 April 14 - . Salyut 1 cleared for roll-out. - . Nation: Russia. Related Persons: Beregovoi, Chelomei, Grechko, Andrei, Mishin. Program: Salyut. Flight: Soyuz 10, Soyuz 11, Soyuz 12 / DOS 1. Spacecraft Bus: Almaz. Spacecraft: Salyut 1. Marshal Grechko has sent a telegram to Kamanin, informing him that the Gagarin Cosmonaut Training Centre has received the Order of Lenin. The UR-500K booster is mated to space station DOS-7K#1. Chelomei is ill. Mishin takes the opportunity to insult him by replacing Chelomei with Mishin's man on the commission that will judge the UR-500's readiness for launch. Nevertheless, the commission clears the booster to be moved out to the pad on 15 April, with launch set for 19 April at 06:40. In the evening Beregovoi's 50th birthday is celebrated. 1971 April 15 - . Salyut 1 erected on pad. - . Nation: Russia. Related Persons: Mishin, Rukavishnikov, Shatalov, Yeliseyev. Program: Salyut. Flight: Soyuz 10, Soyuz 11, Soyuz 12 / DOS 1. Spacecraft Bus: Almaz. Spacecraft: Salyut 1. The Proton booster is erected on the pad. The decision is made to proceed despite a prediction of 15 m/s winds -- the prediction turns out to be wrong. All of the big brass are present for the rollout. Afterwards Mishin visits the cosmonauts. He says all is ready for the first space station mission, and promises them the N1-L3 will be available soon for lunar missions. 1971 April 19 - . 01:40 GMT - . Launch Site: Baikonur. Launch Complex: Baikonur LC81/24. LV Family: Proton. Launch Vehicle: Proton-K.
Salyut 1 - . Payload: Zarya s/n 121. Mass: 18,500 kg (40,700 lb). Nation: Russia. Agency: MOM. Program: Salyut. Class: Manned. Type: Manned space station. Flight: Soyuz 10, Soyuz 11, Soyuz 12 / DOS 1. Spacecraft Bus: Almaz. Spacecraft: Salyut 1. Duration: 179.93 days. Decay Date: 1971-10-11 . USAF Sat Cat: 5160 . COSPAR: 1971-032A. Apogee: 214 km (132 mi). Perigee: 180 km (110 mi). Inclination: 51.40 deg. Period: 88.50 min. First manned space station. Salyut 1 included a number of military experiments, including the OD-4 optical visual ranger, the Orion ultraviolet instrument for characterising rocket plumes, and the highly classified Svinets radiometer. Primary objectives included photography of the earth, spectrographs of the earth's horizon, experiments with intense gamma rays, and studying manual methods for station orientation. 1971 April 20 - . DOS State Commission. - . Nation: Russia. Program: Salyut. Flight: Soyuz 10, Soyuz 11, Soyuz 12 / DOS 1. Spacecraft Bus: Almaz. Spacecraft: Salyut 1. Six of eight fans in the ECS have failed. There are only two back-ups, which are not enough for the 90-day active mission life planed. But it is decided the problem could actually be failed sensors, and in any case the first crew can easily repair the fans. At 17:00 the State Commission meets publicly (radio and television coverage) to approve the launch of Soyuz 10. Launch is set for 22 April at 03:30. 1971 May 3 - . EVA to Salyut discussed. - . Nation: Russia. Related Persons: Mishin, Rukavishnikov, Shatalov, Yeliseyev. Program: Salyut. Flight: Soyuz 10, Soyuz 11. Spacecraft: Salyut 1, Soyuz 7KT-OK. The Soyuz 10 crew receive awards at the Kremlin. Rukavishnikov is made a Hero of the Soviet Union, which means he will receive 5,000 roubles, a Volga automobile, and other privileges. Kamanin calls Mishin later in the day. Mishin wants to send up a two-man crew in Soyuz 11, in space suits. One of them will make a spacewalk to examine the docking collar on the Salyut station prior to docking and remove the cover from the scientific sensor bay. Kamanin is infuriated. Seven to eight months ago the VVS had asked Mishin about the possibility of carrying at least one spacesuit aboard the Soyuz or Salyut and the possibility of making an EVA. He categorically rejected the idea. At that time he said it was practically impossible. There are insufficient oxygen reserves aboard the station for a full depressurisation. It would reduce the oxygen to a 75-day supply, and 45 to 50 days worth of reserves are required by mission rules. A cosmonaut meeting is called to discuss the matter. This reveals that DOS#2 is planned to have spacesuits and all of the equipment necessary for an EVA. But an EVA on Soyuz 11 is not possible. There EVA equipment and have not been manufactured. Two to three months would be required to fabricate the suits and equipment and to train for the EVA. Salyut 1 can only last 60 to 70 days. A Soyuz 12 mission in the first part of June could not be ready for an EVA. All in all it would be better to incorporate the EVA hardware into the first mission to a new DOS#2 station. 1971 May 4 - . Soyuz 11 EVA pushed. - . Nation: Russia. Related Persons: Mishin, Rukavishnikov, Shatalov, Yeliseyev. Program: Salyut. Flight: Soyuz 10, Soyuz 11. Spacecraft: Salyut 1, Soyuz 7KT-OK.
At 10:00 the Soyuz 10 crew has the traditional post-flight meeting with the Central Committee, followed by speeches at 15:00 before the workers and engineers at TsKBEM. The truth about the flight is not revealed. Mishin is still pushing for an EVA on Soyuz 11; Kamanin tells him the idea is absurd. Kamanin fumes that Mishin still hasn't reliable solved the problem of automated space docking, on which he began work in 1962. 1971 May 6 - . Almaz simulator delays. - . Nation: Russia. Related Persons: Rukavishnikov, Shatalov, Yeliseyev. Program: Salyut, Almaz. Flight: Soyuz 10, Soyuz 11. Spacecraft Bus: Almaz. Spacecraft: Almaz OPS. The Soyuz 10 cosmonauts hold a press conference. The truth behind the mission is concealed. Afterwards a simulator program review is held. Progress is being made, but all of the equipment needed for the simulators is not being funded. MAP is to deliver the Almaz simulator on 1 December 1971, but they can't guarantee it will include equipment that has to be delivered by a range of other ministries. Later a meeting is held on plans by the Moscow Soviet for a space museum. MOM, MAP, and VVS have to contribute to the final exposition plan. 1971 May 8 - . Soyuz 11 / Soyuz 12 plans. - . Nation: Russia. Related Persons: Mishin. Program: Salyut. Flight: Soyuz 10, Soyuz 11, Soyuz 12 / DOS 1. Spacecraft: Salyut 1, Soyuz 7KT-OK.
Frolov reports to Kamanin on a meeting of the general designers. Mishin has planned the Soyuz 11 launch for June, to be followed by Soyuz 12 in July. The reworked docking mechanism will be ready for installation on Soyuz 11 by 18 May. Mishin recommends a full automated docking for the next mission. 1971 May 10 - . Cause of Soyuz 10's failure to dock. - . Nation: Russia. Related Persons: Chertok. Program: Salyut. Flight: Soyuz 10, Soyuz 11. Spacecraft Bus: Soyuz. Spacecraft: Soyuz 7KT-OK.
A sunny day in Moscow. Chertok's investigative commission has found that the likely cause of Soyuz 10's failure to dock was a dented sleeve on the active part of the docking mechanism. In repeated tests the sleeve bent at 130 kg force 60% of the time. The real force of docking was estimated at 160 to 200 kg. Therefore for Soyuz 11 and subsequent models the sleeve will be reinforced by a factor of two. The crew will also be given the capability of steering the docking probe and of operating the orientation engine to improve the chances of docking when difficulties do occur. 1971 May 12 - . VPK Meeting on Soyuz 11/12. - . Nation: Russia. Related Persons: Kutakhov, Mishin, Smirnov. Program: Salyut. Flight: Soyuz 11, Soyuz 12 / DOS 1. Spacecraft: Salyut 1, Soyuz 7KT-OK.
Mishin guarantees to Smirnov that Soyuz 11 will be able to dock to Salyut 1. He also promises thirty-day missions for both Soyuz 11 and Soyuz 12. But there is a problem with this last promise -- Soyuz 12 won't launch until 15-18 July, which will be after the guaranteed life of the Salyut 1 station. Kamanin protests the decision. Smirnov points out that they must fulfil the resolutions of the Communist Party without question. But he reassures Kamanin that they will take everything one step at a time, keeping the safety of the crew in mind. Kutakhov also does not support the decision, but orders must be followed. 1971 May 14 - . Soyuz 11 launch considerations argued. - . Nation: Russia. Related Persons: Feoktistov, Mishin, Ustinov. Program: Salyut. Flight: Soyuz 11. Spacecraft: Salyut 1, Soyuz 7KT-OK. The crews are continuing training for Soyuz 11. Mishin expects launch on 6 June. He is not opposed to limiting the flight duration to 25 days, necessary in order to make a landing in daytime at the end of the mission. Kamanin doesn't trust this change of heart - he asks the VVS ballistics section to confirm Mishin's calculations. Feoktistov visits Kamanin. He wants to be on the fourth crew to fly to DOS#2. VVS ballistics calls back. A launch as late as 11-12 June would still allow a daytime landing after 25 days. However from day 6 to 24 of the flight retrofire would be on the night side, and could only be accomplished using the technique of Soyuz 10 - aligning the spacecraft on the day side, spinning up the gyro platform, and using the gyros for night-side orientation during retrofire. At a meeting of the Central Committee, Kamanin fights with Ustinov for the safety of the crew. After a three-hour debate the majority of those present are still worried about the reliability of the docking system. But nevertheless the decision is made to proceed with Soyuz 11. 1971 May 15 - . Party line on Soviet space program. - . Nation: Russia. Related Persons: Popovich, Sevastyanov, Shatalov. Program: Salyut, Lunar L3, Luna. Flight: Soyuz 10, Soyuz 11. Shatalov is actively pushing his candidacy for the position of Kamanin's deputy. Popovich and Sevastyanov prepare for a trip to the Paris Air how on 2 June. They need 'correct' replies to inevitable questions about the moon race, the Salyut 1 station, and Soyuz 10's failure to dock. The line they are to follow is that the Soviet Union is fulfilling its safe and systematic exploration of space. The robots Luna-16 and Lunokhod 1 safely surveyed the moon. After the Soyuz 9 long-duration flight, Salyut 1 was launched and Soyuz 10 tested the rendezvous equipment. The line is that the USSR is not behind the USA, but is exploring space in a safe and responsible way. 1971 May 21 - . Soyuz 11 crews arrive at Tyuratam. - . Nation: Russia. Program: Salyut. Flight: Soyuz 11, Soyuz 12 / DOS 1. Spacecraft: Salyut 1, Soyuz 7KT-OK. The Salyut crews arrive at Tyuratam and see the new reinforced docking system for the first time. Then they go to Area 2 to prepare their flight plans. Aferwards they train from 20:00 to 24:00 aboard Soyuz 11. But due to the parallel work on revising the Igla system, the systems are not all updated yet. The cosmonauts have no confidence in the new system, and can only say they 'probably' have a better chance of success in docking than before. 1971 May 22 - . Kamanin's position in jeopardy. - . Nation: Russia. Program: Salyut. Flight: Soyuz 11. The weather dawns at Tyuratam 22 deg C, and has already risen to 30 deg C by 09:30. Kamanin flies back to Moscow, where the weather is rain, and he learns of new moves to try to put him aside..
1971 May 25 - . Crews of Apollo 14 and Soyuz 9 to meet in Paris. - . Nation: Russia. Related Persons: Sevastyanov. Program: Salyut. Flight: Soyuz 11. Sevastyanov is given further preparation for his visit to the Paris Air Show. He will meet with the crew of Apollo 14 on television. Kamanin informs him that he is earmarked for the fourth crew of DOS#2..
1971 May 27 - . Still no centrifuge for cosmonaut training centre. - . Nation: Russia. Program: Salyut. Flight: Soyuz 11. Rebrov is working on a book on Salyut 1, and the Soyuz 10 and 11 missions. Despite three trips to Sweden and France, there has still been no vendor selection for the TsF-18 centrifuge. In any case there is still not enough money (12 million roubles needed, 3 million roubles available). 1971 May 28 - . Soyuz 11 and 12 crews depart for Baikonur. - . Nation: Russia. Related Persons: Dobrovolsky, Kolodin, Leonov, Patsayev, Rukavishnikov, Volkov. Program: Salyut. Flight: Soyuz 11, Soyuz 12 / DOS 1. The Salyut crews, Kamanin, and VVS support technicians and staff - 46 people altogether - fly to Tyuratam aboard three Tu-104's..
1971 May 29 - . No improvements at cosmodrome for cosmonauts. - . Nation: Russia. Related Persons: Leonov. Program: Salyut. Flight: Soyuz 11. Kamanin notes with disgust that the cosmodrome has been updated for 15 years but not one kopeck has been spent to provide training facilities for the cosmonauts. Leonov's 37th birthday is celebrated..
1971 May 31 - . Problems with Salyut station atmosphere. - . Nation: Russia. Related Persons: Dobrovolsky, Feoktistov, Kolodin, Leonov, Patsayev, Rukavishnikov, Volkov. Program: Salyut. Flight: Soyuz 11, Soyuz 12 / DOS 1. Spacecraft Bus: Almaz. Spacecraft: Salyut 1. Kamanin is advised that the atmosphere aboard Salyut 1 is now all right. He finds the news disturbing, since he was not informed until then that there was a problem! Feoktistov outlines the modifications made to Soyuz 11 compared to Soyuz 10 to the cosmonauts. The reinforcement of the docking ring system has added 10 kg to the spacecraft. Consumables are carried that increase the time for autonomous flight from three to four days. 1971 June 1 - . Soyuz 11 spacecraft closed out. - . Nation: Russia. Related Persons: Dobrovolsky, Kolodin, Leonov, Patsayev, Rukavishnikov, Volkov. Program: Salyut. Flight: Soyuz 11, Soyuz 12 / DOS 1. Spacecraft Bus: Soyuz. Spacecraft: Soyuz 7KT-OK. The Soyuz 11 and 12 crews train. The Soyuz-11 spacecraft is closed out, ready for flight..
1971 June 1 - . Launch Vehicle: N1. N1-6L launch commission - . Nation: Russia. Related Persons: Isayev, Mishin, Pilyugin. Program: Lunar L3. Flight: Soyuz 11. Spacecraft: Almaz OPS, LK, MKBS, Salyut 1, Soyuz 7K-LOK. 1971 June 2 - . Contingency planning for Soyuz 11. - . Nation: Russia. Related Persons: Dobrovolsky, Kolodin, Leonov, Patsayev, Rukavishnikov, Volkov. Program: Salyut. Flight: Soyuz 11, Soyuz 12 / DOS 1. Spacecraft Bus: Soyuz. Spacecraft: Soyuz 7KT-OK.
From 09:00 to 13:00 the Soyuz 11 cosmonauts and engineers discuss the best approaches for docking, contingency plans, and so on. A concrete solution is provided for every possible problem they might encounter aboard the station - bad air, water contaminated, stuck exit hatch, and so on. 1971 June 3 - . Kubasov found not fit to fly aboard Soyuz 11. - . Nation: Russia. Related Persons: Dobrovolsky, Kolodin, Leonov, Mishin, Patsayev, Rukavishnikov, Volkov. Program: Salyut. Flight: Soyuz 11, Soyuz 12 / DOS 1. The cosmonauts play tennis in the morning. There are two dysentery cases in the staff at Area 2. Contact between the officers and workers at the centre is minimised. The Soyuz 11 crew undergoes their final medical checkups. A spot is found on Kubasov's lung in the x-ray. The doctors say it is the beginning of tuberculosis, and prohibit him from flying in space! Mishin, backed by Moscow, says that under mission rules, this means the Dobrovolsky back-up crew will have to fly in place of Leonov's crew. Kamanin feels uncomfortable with the decision, but can make no good argument for his preference - just replacing Kubasov on Leonov's crew with Volkov. The Launch Commission decides that Soyuz 11 is to be rolled out to the pad at 06:00 on 4 June, with launch at 07:39 on 6 June, with Dobrovolsky's crew aboard. 1971 June 4 - . Backup crew named to fly Soyuz 11 - . Nation: Russia. Related Persons: Dobrovolsky, Kolodin, Leonov, Mishin, Patsayev, Rukavishnikov, Volkov. Program: Salyut. 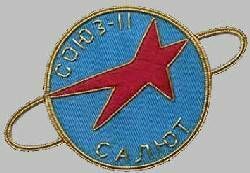 Flight: Soyuz 11, Soyuz 12 / DOS 1. Soyuz 11 is on the launch pad, and which crew will fly is still being argued. Kamanin wants to simply have Volkov replace Kubasov on Leonov's crew. Mishin wants the complete backup crew to replace Leonov's crew. Others on the launch commission support Mishin. At 15:30 a team of physicians arrive from Moscow to verify the diagnosis of Kubasov. At 18:00 the final state commission meeting confirms the Dobrovolsky crew. At 19:00 a press conference is held - Dobrovolsky, Patsayev, and Volkov are publicly presented as the crew of Soyuz 11. 1971 June 5 - . Leonov crew fights to be put back aboard Soyuz 11. - . Nation: Russia. Related Persons: Dobrovolsky, Kolodin, Krylov, Leonov, Patsayev, Rukavishnikov, Volkov. Program: Salyut. Flight: Soyuz 11, Soyuz 12 / DOS 1. Leonov and his crew meet with Kamanin at 10:00 and argue against flying the back-up crew. Kamanin tells him that they are not reacting in a correct manner to the decision. Afterwards Kamanin meets with Krylov at Area 17 to discuss the planned new three-story hotel, which will finally include some sports training facilities for the cosmonauts. By the evening ten VVS generals have arrived to see the launch -- no more than 2 or 3 really need to be there. 1971 June 6 - . 04:55 GMT - . Launch Site: Baikonur. Launch Complex: Baikonur LC1. LV Family: R-7. 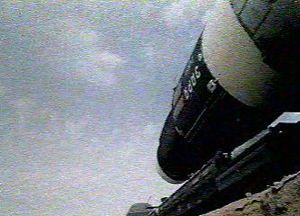 Launch Vehicle: Soyuz 11A511. Soyuz 11 - . Call Sign: Yantar (Amber ). Crew: Dobrovolsky, Patsayev, Volkov. Backup Crew: Kolodin, Kubasov, Leonov. Payload: Soyuz 7K-OKS s/n 32. Mass: 6,790 kg (14,960 lb). Nation: Russia. Agency: MOM. Program: Salyut. Class: Manned. Type: Manned spacecraft. Flight: Soyuz 11. Spacecraft Bus: Soyuz. Spacecraft: Soyuz 7KT-OK. Duration: 23.77 days. Decay Date: 1971-06-29 . USAF Sat Cat: 5283 . COSPAR: 1971-053A. Apogee: 237 km (147 mi). Perigee: 163 km (101 mi). Inclination: 51.50 deg. Period: 88.40 min. First space station flight, two years before the American Skylab. The Soyuz 11 launch proceeds without any difficulties. The first orbital correction in the set of rendezvous manoeuvres to head for Salyut 1 is made on the fourth revolution. At 15:00 Kamanin and other critical staff board a plane for the mission control centre at Yevpatoriya. The aircraft takes 4 hours 30 minutes to get there. Equipment aboard Salyut 1 included a telescope, spectrometer, electrophotometer, and television. The crew checked improved on-board spacecraft systems in different conditions of flight and conducted medico-biological research. 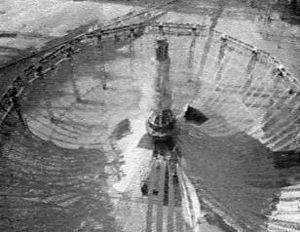 The main instrument, a large solar telescope, was inoperative because its cover failed to jettison. A small fire and difficult working conditions will lead to a decision to return crew before planned full duration of 30 days. 1971 June 7 - . Soyuz 11 docks with Salyut 1. - . Nation: Russia. Related Persons: Dobrovolsky, Patsayev, Volkov. Program: Salyut. Flight: Soyuz 11. Spacecraft: Salyut 1, Soyuz 7KT-OK.
A joint meeting of the Soyuz 11 State Commission and Soviet of Chief Designers takes place at Yevpaptoriya at 07:00. Aboard Soyuz 11, the Igla automatic rendezvous and docking system is switched on when the spacecrafft is 7 km from Salyut 1. There is no manual intervention in the process; Dobrovolsky simply makes reports to the ground of the rendezvous and docking system's progress. Docking itself takes place out of tracking range. There is considerable suspense in mission control during the 90-minute wait until reacquisition. 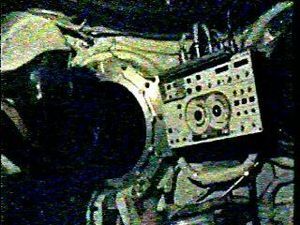 Before leaving radio contact, telemetry showed a signal that the docking mechanism had depressurised, which would have prevented the cosmonauts from opening the hatch and entering the space station. But when the station comes back in view, it turns out that all went normally and the crew has already entered the station. Patsayev entered first, turned on the air regenerator, and replaced two failed fans. The crew report that the station atmosphere is unpleasant, with a strong burned smell. It will take 20 hours for all of the air in the station to cycle through the ECS scrubbers, so the crew is told to spend the first night aboard their Soyuz. 1971 June 8 - . Soyuz 11 powered down and crew begins long-duration mission aboard Salyut 1. - . Nation: Russia. Related Persons: Dobrovolsky, Patsayev, Volkov. Program: Salyut. Flight: Soyuz 11. Spacecraft: Salyut 1, Soyuz 7KT-OK. When the crew awakes, the station air is all right, and all eight fans and filters of the ECS are operating. Soyuz 11 is powered down and put in storage mode. The crew begins the DOS work program. But they have not yet put on their Penguin training suits and are not yet following the exercise program. Clearly, they are not taking the necessary steps to adapt to zero-G and preserve their health for their return. They take control of the station for the first time, making an orbital correction manoeuvre, and then orienting the station and its solar panels fully toward the sun. The world press is full of the great news of a new Soviet victory - the first station in space. 1971 June 9 - . Soyuz 11 Day 4 - . Nation: Russia. Related Persons: Dobrovolsky, Patsayev, Volkov. Program: Salyut. Flight: Soyuz 11, Soyuz 12 / DOS 1. All continues normal aboard the station. Television sessions are held with the crew. They have now put on their training suits, and are urged to do regular physical training as required by the program. There are enough ECS consumables, fuel, water, and food aboard for the station to continue in manned operation until 20 August. The return of he Soyuz 11 crew is planned for 30 June, with launch of Soyuz 12 on 20 July. The first of the daily landing commission meetings is held. Emergency landing sites and procedures for the following day are discussed and set. 1971 June 10 - . Soyuz 11 Day 5 - . Nation: Russia. Related Persons: Dobrovolsky, Patsayev, Volkov. Program: Salyut. Flight: Soyuz 11. All normal aboard Salyut 1. It is established that Soyuz 11 has enough propellant remaining for 57 hours of autonomous flight, including orientation and retrofire. It is decided to ask the crew to conduct a couple of experiments with the 'globus' instrument on the station to determine the accuracy of its landing point prediction. 1971 June 11 - . Soyuz 11 Day 6 - . Nation: Russia. Related Persons: Dobrovolsky, Mishin, Nikolayev, Patsayev, Volkov. Program: Salyut. Flight: Soyuz 11. All is normal aboard the station. Mishin, Kamanin, and most of the high-ranking military officers return to Moscow. Nikolayev will lead the cosmonaut contingent at Yevpatoriya for five days. Then Kamanin will return..
1971 June 12 - . Soyuz 11 Day 7 - . Nation: Russia. Related Persons: Dobrovolsky, Filipchenko, Lazarev, Patsayev, Volkov, Vorobyov. Program: Salyut. Flight: Soyuz 11. 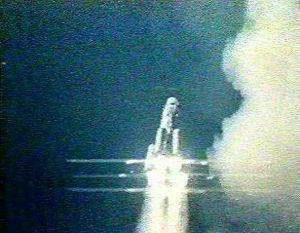 Launch, docking, and the first five days of work by the Soyuz 11 crew aboard the Salyut 1 station proceeded with virtually no failures whatsoever. Cosmonauts Filipchenko, Lavarev, and Vorobyov will fly with Kamanin to Yevpatoriya to act as capcoms and cosmonaut centre liaisons for the rest of the mission. 1971 June 15 - . Soyuz Kontakt and DOS-2 crew assignments made. - . Nation: Russia. Related Persons: Alekseyev, Semyon, Artyukhin, Bykovsky, Filipchenko, Gorbatko, Grechko, Gubarev, Isakov, Klimuk, Kolodin, Kovalyonok, Lazarev, Leonov, Makarov, Porvatkin, Rukavishnikov, Sevastyanov, Shcheglov, Vorobyov, Voronov, Yakovlev, Yazdovsky. Program: Salyut, Lunar L3. Flight: DOS 2-1, DOS 2-2, DOS 2-3, DOS 2-4, Soyuz 11, Soyuz 12 / DOS 1, Soyuz sn 18, Soyuz sn 19, Soyuz sn 20, Soyuz sn 21, Soyuz sn 22, Soyuz sn 23. Spacecraft: Salyut 1, Soyuz Kontakt. Crews are formed for six Soyuz (Kontakt?) flights. Soyuz s/n 18 - Filipchenko and Grechko; Soyuz s/n 19 - Lazarev and Makarov; Soyuz s/n 20 - Vorobyov and Yazdovsky; Soyuz s/n 21 - Yakovlelv and Porvatkin; Soyuz s/n 22 - Kovalyonok and Isakov; Soyuz s/n 23 - Shcheglov and [illegible]. Five crews are training for Salyut flights: Crew 1, Leonov, Rukavishnikov, and Kolodin; Crew 2, Gubarev, Sevastyanov, and Voronov. TsKBEM engineer cosmonauts are to be selected will round out the last three crews, but VVS members will be: Crew 3, Klimuk, Artyukhin; Crew 4, Bykovskyy, Alekseyev; Crew 5, Gorbatko. Leonov and Gubarev will have their crews fully ready for Soyuz 12 by 30 June, for a launch date between 15-20 July. Leonov is asking to go to East Germany for two to three days in the first week of July. Kamanin is fully opposed to this - he is thinkng not of his upcoming flight, but the exhibition of his paintings at the Prezdensk Gallery! 1971 June 16 - . Soyuz 11 Day 11 - fire aboard the station. - . Nation: Russia. Related Persons: Bykovsky, Chelomei, Dobrovolsky, Khrunov, Mishin, Nikolayev, Patsayev, Popovich, Sevastyanov, Shatalov, Volkov, Volynov. Program: Salyut, Almaz. Flight: Soyuz 11. Spacecraft: Almaz OPS, Salyut 1, Soyuz 7KT-OK, Soyuz OB-VI, Soyuz VI. Kamanin is to fly back to Yevpatoriya in the afternoon. Chelomei is often ill lately -- Mishin is using the opportunity to lobby Ustinov and Smirnov to kill Almaz, and increase the DOS-7K order from four to ten. Mishin killed Kozlov's Soyuz VI in a similar manner. Prior to his departure, the cosmonauts brief Kamanin on the results of the visits of Popovich and Sevastyanov to France, and Khrunov to the USA. Kamanin is having trouble with the leadership in allowing Volynov to be assigned to another crew. As Kamanin is on the way to the airport, a serious situation develops aboard the station. At 13:00 the cosmonauts report a strong burning smell, and smoke in the station. The crew evacuates the station and retreat to the Soyuz lifeboat. Forty minutes later, just as Kamanin is boarding the Tu-104, Shatalov reports that the mission will continue, but the situation aboard the station is not comfortable. The crew has turned off the primary oxygen regenerator and exchanged the filters of the oxygen supply and reserve regenerator. At 14:05 Kamanin finally boards the aircraft, which takes off and sets course for the Crimea. At 14:30 they are ordered to turn around and land at Chkalovksy Airfield outside Moscow. The whole thing turns out to be a banal mistake by one of the officers at an air traffic control station! They lose two hours in the process. No information is available when the Tu-104 finally lands at Saki, since Nikolayev and the other cosmonauts who attended the emergency meetings had taken off to return to Moscow three hours earlier. Kamanin finally arrives at Yevpatoriya at 23:00, in time for a comms session with Dobrovolsky and Patsayev (Volkov is sleeping). The Soyuz 11 crew reports that the training suits are very tiring. Dobrovolsky reports all is now normal otherwise. He requests permission to continue the flight. Bykovsky reports that the situation on the station is now stable. There is no more smoke or burning smell, but the crew has been overloaded in the last six hours. They have done a lot of work with no food or rest. The situation was so bad at one point that preparations had been made for undocking the Soyuz for an emergency return to earth. 1971 June 17 - . Soyuz 11 Day 12 - . Nation: Russia. Related Persons: Dobrovolsky, Mishin, Patsayev, Volkov. Program: Salyut. Flight: Soyuz 11. Spacecraft Bus: Almaz. Spacecraft: Salyut 1. At the 08:00 comms session Volkov is on duty, while Dobrovolsky and Patsayev sleep. Kamanin notes that to Volkov everything in his account of the previous day's emergency is 'I' - 'I' decided, 'I' did, etc. Mishin expresses his opinion that the flight commander must make all the decisions; to which Volkov answers 'the whole crew decides things together'. The tracking team, however, considers him too independent and emotional, a person who won't recognise or acknowledge his errors. The State Commission meets at 11:00 and decides there is nothing to prevent the mission continuing. However it is decided to shut down all scientific equipment. They will be turned back on one by one in an attempt to find the origin of the burning. 1971 June 18 - . Soyuz 11 Day 13 - . Nation: Russia. Related Persons: Dobrovolsky, Mishin, Patsayev, Volkov. Program: Salyut. Flight: Soyuz 11, Soyuz 12 / DOS 1. Spacecraft Bus: Almaz. Spacecraft: Salyut 1. The crew makes a five minute television transmission. The telescope in the background produces dissonance in the image. Kamanin calls Mishin at Tyuratam, where the N1 is being prepared for launch. There are delays, and the launch must be moved back two days to 22 June. Kamanin tells the crews that this means there will be no good opportunity for them to observe the launch from the station with the Svinets apparatus, as was planned. Meanwhile the electrical specialists and Chertok in Moscow cannot localise the electrical problem. All of the equipment aboard has been turned off and on, and the burning simply does not occur again. Meanwhile there are concerns that Soyuz 11 may be able to reach the desired mission length, but that Soyuz 12 may not be safe to fly by its launch date. The mission is still planned for the full 30 days, but the physical training program has not been followed due to the problems and breakdowns aboard the station, requiring the cosmonauts to spend a lot of time in unplanned repair activities. The physicians are not in favour of prolonging the flight. 1971 June 20 - . Soyuz 11 Day 15 - . Nation: Russia. Related Persons: Dobrovolsky, Gorbatko, Patsayev, Volkov. Program: Salyut. Flight: Soyuz 11. Spacecraft Bus: Almaz. Spacecraft: Salyut 1. The Soyuz 11 crew completes their 1000th revolution of the earth. Gorbatko jokes that they are 'go for 2000' but the crew is not enthusiastic. Kamanin does not believe they have more than 10 or 11 days endurance left in them. 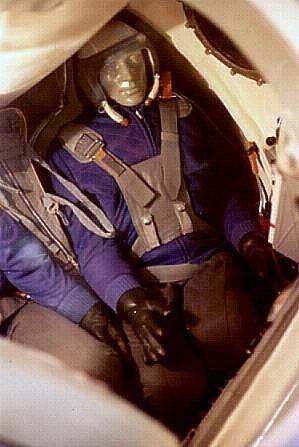 Clear problems exist: the Penguin training suits do not adequately replace gravitational effects (they have suffered torn elastic bands); the measured lung capacity of the crews has declined from 300 on the first day of the flight to 200 now; use of the treadmill caused the whole station to vibrate alarmingly and was discontinued (the solar panels flapped, the propellants sloshed in the tanks, and the noise of the track couldn't be kept out of the rest areas). The weather is very poor in the prime recovery area for the last two days - 20-25 m/s wind - dangerous for landing. 1971 June 21 - . Soyuz 11 Day 16 - . Nation: Russia. Related Persons: Dobrovolsky, Patsayev, Volkov. Program: Salyut. Flight: Soyuz 11. The State Commission decides that the flight of Soyuz 11 can continue to 27 to 30 June. Kamanin wanted to bring the crew down earlier, but his position is rejected. He has become so tired of some of his unsupportive higher-ups..
1971 June 22 - . Soyuz 11 Day 17 - . Nation: Russia. Related Persons: Dobrovolsky, Patsayev, Volkov. Program: Salyut. Flight: Soyuz 11. Thirty years since the start of World War II, Kamanin muses. He thinks of the weight of those years - of Stalinist repression, war, loss of his oldest son, evacuation to Ashkabad and Tashkent, death of Komarov, and finally the heaviest loss of all - the death of Gagarin. Kamanin will be 63 in October, and the war memories still engulf him. He is so tired. Time to retire, make way for the younger men. There are some good men in the first cosmonaut team. Meanwhile, all is normal aboard Salyut 1 on the 17th day of Soyuz 11's mission. 1971 June 23 - . Soyuz 11 Day 18 - . Nation: Russia. Related Persons: Dobrovolsky, Patsayev, Volkov. Program: Salyut. Flight: Soyuz 11. The weather is bad, and Kamanin is depressed. Over the last three days various 'stars' of space medicine have come to the command point to pontificate. They are convinced this crew will be in better shape on their return than the Soyuz 9 crew due to the KTF trainer, Polinom vacuum device, Penguin prophylactic suits, and so on. Kamanin is not convinced. He thinks the readaptation period will be very difficult. Volkov will be the worst off. In flight he often complains of problems with the physical training equipment, doesn't drink enough water, and often makes mistakes. But the doctors say all will be quite OK. The landing commission meets. The touchdown of the crew is set for 30 June, 150-200 km south-west of Karaganda. 1971 June 24 - . Launch Vehicle: N1. Soyuz 11 Day 19 - . Nation: Russia. Related Persons: Dobrovolsky, Karas, Patsayev, Volkov. Program: Salyut, Lunar L3. Flight: Soyuz 11. Dobrovolsky and Patsayev successfully complete the Svinets experiment, fixing the position of a rocket launched at night. The N1 launch has been delayed again. Karas reports that telemetry shows many problems with the rocket, even just sitting on the pad. Kamanin sees this lousy rocket as a heavy cross for Soviet cosmonautics to bear. As for Soyuz 11, the Landing Commission discusses moving the landing from the 3rd to 2nd revolution on 30 July. But then the crew will land in the dark, while for the 3rd revolution landing they will touch down 24 minutes before sunrise. It is decided to continue planning for the third revolution, in case the crew needs immediate medical assistance. 1971 June 25 - . Soyuz 11 Day 20 - . Nation: Russia. Related Persons: Dobrovolsky, Patsayev, Volkov. Program: Salyut. Flight: Soyuz 11. Spacecraft: Salyut 1, Soyuz 7KT-OK. The crew sets a new world endurance record in space. Overnight they conduct another successful Svinets experiment, this time observing the launch of a solid propellant missile. The crew seems alert and in good shape. The Landing Commission confirms landing for 30 June, but now 200 to 250 km south-west of Karaganda. The medical teams will be prepared for all possible situations. There are bitter arguments within the commission as to the current and likely condition of the crew. 1971 June 26 - . Soyuz 11 Day 21 - . Nation: Russia. Related Persons: Dobrovolsky, Patsayev, Volkov. Program: Salyut. Flight: Soyuz 11. Spacecraft: Salyut 1, Soyuz 7KT-OK. The crew has completed all scientific and technical experiments aboard the Salyut station. They will spend the last two to three days concentrating on physical training, medical observations, and preparation for landing. They will turn off all station equipment not required for autonomous flight, prepare the Soyuz for landing, and measure the water and consumable reserves available for the next crew. The experiments have produced many film cartridges, experiment samples, and so on that should be returned to earth. However there is not enough space or mass reserves in the Soyuz capsule for them all so they are only to return those specifically listed by ground control. 1971 June 27 - . Launch Vehicle: N1. Soyuz 11 Day 22 - . Nation: Russia. Related Persons: Dobrovolsky, Isayev, Keldysh, Mishin, Patsayev, Smirnov, Ustinov, Volkov. Program: Salyut, Lunar L3. Flight: Soyuz 11. Spacecraft: Salyut 1, Soyuz 7KT-OK. The shocking news of rocket engine designer Isayev's premature death is received at the Soyuz 11 control point at Yevpatoriya. This is followed by the news that the third N1 failed 57 seconds into its flight. A total of 13 N1's were built, and all three launched so far have exploded. Kamanin agreed to cancellation of the entire project three years ago, but Ustinov, Smirnov, Keldysh, and Mishin continued in their grandiose charade, wasting billions of roubles in the process. Meanwhile on the 22nd day of Soyuz 11's flight, the crew is up and about. Volkov is especially active, which should improve his readaptation when he returns to earth. 1971 June 28 - . Soyuz 11 Day 23 - . Nation: Russia. Related Persons: Afanasyev, Dobrovolsky, Karas, Keldysh, Mishin, Patsayev, Volkov. Program: Salyut. Flight: Soyuz 11. Spacecraft: Salyut 1, Soyuz 7KT-OK. The cosmonauts have to be extremely careful in putting Salyut in storage mode. They go through the checklist together with the ground to make sure no errors are made. The Salyut station is much more comfortable than the Soyuz, but the mission has revealed it needs many improvements, including: a unit for ejecting liquids from the station; solar panels, and scientific instruments, that can be automatically pointed at the sun or their target and stabilised; an improved control section; better crew rest provisions. Only with such improvements will it be possible to make flights of two months or longer. And such flights will take ten years to work up to, not by the end of the year, as Mishin claims. Kamanin thinks it will be possible to prolong flights to 40 to 60 days in 1972, but that this will then be a long-standing record. Any longer would be equivalent to running 100 km but then collapsing and dying - the Soviet Union doesn't need those kind of records! The bigwigs arrive from Moscow to be in on the landing. But Afanasyev, Keldysh, Mishin, and Karas all remain at the cosmodrome for the investigation into the N1 failure. 1971 June 29 - . Soyuz 11 day 24 - final preparations for landing. - . Nation: Russia. Related Persons: Dobrovolsky, Mishin, Patsayev, Volkov, Yeliseyev. Program: Salyut, Lunar L3. Flight: Soyuz 11. Spacecraft: Salyut 1, Soyuz 7KT-OK.
Big dramas are being played out at the cosmodrome over the N1 failure, but Mishin seems protected by someone very high up and is untouchable in the blame game. This is the last full day aloft of the Soyuz 11 crew. At 19:30 the State Commission at the command point authorises the Soyuz 11 crew to undock from the Salyut space station. A communications session begins on the 15th orbit of the day at 19:45. Dobrovolsky and Volkov confirmed that the station was completely mothballed, all material to be returned was stowed in the Soyuz capsule, the crew was wearing their anti-G suits, and had completed shut-down of the station. Yeliseyev advised the crew that ground telemetry showed that they had not turned on the noxious gas filters in the station. Volkov argues that this must be a ground control error, but after checking admits the crew made a mistake. After the crew has left the station, taken their seats in the capsule, and closed the hatch between the Soyuz BO orbital module and SA re-entry capsule, the strained voice of Volkov comes from space: 'Hatch not hermetically sealed? What's happening? What's going on?'. All this response to the fact that the caution and warning panel 'Hatch open' light has not gone out. Yeliseyev calmly advises the crew, 'Don't panic. Open the hatch, and move the wheel to the left to open. Close the hatch, and then move the wheel to the right six turns with full force'. The crew does this several times, but the light still won't go out. On a final attempt, with 6.5 turns of the wheel, the light goes out. On the second half of he 15th orbit, the crew lowers the pressure in the BO to 160 mm, and the hatch proves to be air-tight. On the 16th orbit the crew separates their Soyuz from the Salyut station. At 21:35 they report normal separation and that they 'can see how the station moves away from the spacecraft'. They have enough propellant to stop the separation velocity, and take photographs of the station from 10 to 15 m away. They then back away to 30-40 m, and Patsayev takes another set of photographs documenting the condition of the station. Landing of Soyuz 11 - . Return Crew: Dobrovolsky, Patsayev, Volkov. Nation: Russia. Related Persons: Dobrovolsky, Patsayev, Volkov. Program: Salyut. Flight: Soyuz 11. The re-entry capsule was recovered June 29, 1971 23:17 GMT, but when the hatch was opened it was found that the crew had perished due to a loss of cabin atmosphere. A pressure equalization valve was jerked loose at the jettison of the Soyuz Orbital Module. The valve was not supposed to open until an altitude of 4 km was reached. The three-man crew did not have space suits. The Soyuz was thereafter redesigned to accomodate only two crew, but in spacesuits. The actual Soyuz 11 Prime Crew was Leonov, Kubasov, and Kolodin. Dobrovolskiy, Volkov, Patsayev were their backups (and support crew to Soyuz 10). Kubasov was grounded by physicians few days before launch, and the back-up crew ended up going instead. 1971 June 30 - . Landing of Soyuz 11 and death of crew. - . Nation: Russia. Related Persons: Dobrovolsky, Goreglyad, Patsayev, Smirnov, Ustinov, Volkov. Program: Salyut. Flight: Soyuz 11. Spacecraft Bus: Soyuz. Spacecraft: Soyuz 7KT-OK.
Kamanin account: The next communications session with Soyuz 11 comes at 00:16. Kamanin reads up to the crew the conditions at the primary and secondary landing zones (10 km visibility, 2-3 m/s wind, 16 deg temperature, 720 mm pressure). The crew is to told to report on HF and UHF using all antennae and to call out parachute opening. They are ordered to wait in the capsule for the recovery crews, not to open the hatch themselves under any circumstances. It should take no more than 20 to 30 minutes until the recovery team can open the hatch from the outside. They are under no circumstances to try to get out of the capsule without the assistance of the doctors. Dobrovolsky confirms: "All received, landing sequence proceeding excellent, all OK, crew is excellent". Telemetry shows the Soyuz braking engine begins firing at 01:35:24 and makes a nominal 187 second retrofire burn. Ground control waits for verbal confirmation, but there are no voice communications received from the capsule. At 01:47:28 the crew should have reported successful BO and PAO module separations from the capsule, but still nothing heard. It is not clear to ground control at this point - is Soyuz 11 heading for a landing or staying in orbit? From 01:49:37 to 2:04:07 the capsule is in communications range but there is no reply to the ground's calls. It is now obvious that something is wrong aboard Soyuz 11, but it is not clear what. At 01:54 the VVS command point reports that radar has picked up the spacecraft at 2200 km uprange from the landing zone. It is on course, so the feeling is that the capsule's communications system has simply failed. The parachute deploy signal is received from within the landing zone, but still no transmissions from the crew as on earlier missions. At 02:05 an Il-14 search plane and Mi-8 helicopter spot Soyuz 11 descending under its parachute, within 200 km east of Dzhezkazgan. Soyuz 11 lands at 02:18 Moscow time. Four helicopters land simultaneously as the capsule thumps down on the steppe. The report from the recovery forces to the control centre is only one word: "Wait". There are no further tramsmissions from the recovery forces. It is clear the crew must be dead. Kamanin calls Goreglyad and tells him to set up a State Commission. 1971 July 1 - . Soyuz 11 capsule evaluated at landing site. - . Nation: Russia. Related Persons: Dobrovolsky, Patsayev, Volkov. Program: Salyut. Flight: Soyuz 11. Spacecraft Bus: Soyuz. Spacecraft: Soyuz 7KT-OK.
At 05:00 specialists arrive from Moscow to the Soyuz 11 landing site to test the hermetic seal of the cabin. By 08:00 the pressure tests of the cabin show a slight loss, but it takes 1.5 hours for the cabin to fully depressurise. There are no cracks or holes in the cabin. Therefore the only cause could be the two air valves. The medical experts have already determined that the cosmonauts died from depressurisation of the spacecraft. The crew have haemorrhages in their brains, blood in their lungs, and nitrogen in their blood. The flight recorder shows that four seconds after the depressurisation began Dobrovolsky's breathing rate went to 48/minute (normally 16/minute), asphyxiation began, and 20 to 30 seconds later he was dead. By 19:30 Kamanin is in Moscow, and he sees the bodies laying in state at 21:40. They are cremated at 22:00. 1971 July 3 - . Soyuz 11 investigative commission. - . Nation: Russia. Related Persons: Dobrovolsky, Patsayev, Volkov. Program: Salyut. Flight: Soyuz 11. The Soyuz 11 crew is buried in the Kremlin Wall in a State Funeral at Red Square. This is followed by the first meeting of the State Commission on the Soyuz 11 disaster. Ten sub-committees were set up to concentrate on various technical aspects of the investigation. The initial finding is that the air valve in the 'Mir' apparatus opened in free space at 170 km altitude. Within 112 seconds the capsule fully depressurised. The valve was designed to let in fresh air after re-entry. It should have been impossible for this valve to open until the external barometric pressure had increased to a set level. The only crew instructions and training in relation to this valve were that it was to be closed by either the crew or the recovery forces in case of a landing in water. 1971 July 4 - . Launch Vehicle: N1. Soyuz 11 failure investigation - . Nation: Russia. Related Persons: Dobrovolsky, Patsayev, Severin, Tereshkova, Volkov. Program: Lunar L3, Salyut. Flight: Soyuz 11. Spacecraft: Soyuz 7K-T, Soyuz 7KT-OK.
1971 July 5 - . Soyuz 11 crew deaths preventable. - . Nation: Russia. Related Persons: Dobrovolsky, Mishin, Patsayev, Volkov. Program: Salyut. Flight: Soyuz 11. So many kinds of failures were simulated during Soyuz training - but never the failure that killed the Soyuz 11 crew. Yet the deaths were preventable. The VVS and the cosmonauts had been writing letters for eight years on the necessity of wearing suits aboard the spacecraft. Mishin's reply: 'I don't want to fly cowards on my spacecraft'. It would have been possible to fly Soyuz with a crew of two, in suits, or at least adequate reserve oxygen tanks to flood the compartment and maintain pressure in the situation of a capsule leak. The VVS protested the decision not to fly with such measures, but Mishin simply rejected the protests. 1971 July 7 - . Kamanin's last diary entry in service. - . Nation: Russia. Related Persons: Afanasyev, Brezhnev, Bushuyev, Dobrovolsky, Khrushchev, Mishin, Patsayev, Serbin, Smirnov, Ustinov, Volkov. Program: Salyut. Flight: Soyuz 11. Spacecraft Bus: Soyuz. Spacecraft: Soyuz 7KT-OK.
Kamanin is furious. Of 25 cosmonauts that have flown, five are buried in the Kremlin Wall, one in Novdevich cemetery, and 19 are still in service. These deaths are due to the incompetent management of Ustinov, Serbin, Smirnov, Mishin, Afanasyev, Bushuyev, and Serbin. Some people are trying to blame Kamanin or the cosmonauts, saying the vent could have been plugged with a finger if the crew was properly trained. Others blame the crew in other ways. But the main problem was already brought up early over and over and over by the VVS and Kutakhov - the crew should never have flown without spacesuits! This has been going on for seven years. Khrushchev, Brezhnev, Ustinov, Smirnov, all wrote of their fear of allowing dangerous spaceflights. But these were the same leaders who supported the categorical rejection of the need for the crew to fly in spacesuits. The need for the suits was rejected first by Korolev, then Mishin. They kept saying that hundreds of manned and unmanned spacecraft had flown without depressurisation ever occurring. The idea of plugging the vent with a finger is absurd. Had they done so, they would have had only 15 to 17 minutes to work the problem before the onset of G-forces. Imagine the real situation - retrofire was normal - the BO module jettisoned - suddenly the depress light on the caution warning panel is on! Dobrovolsky checks the hatch, but it's not the hatch -- and there are only 25 to 30 seconds until they all become unconscious. Volkov and Patsayev undo their straps and turn on the radio. The whistling of the air can only be heard at the commander's seat - where the vent valve is located. Kamanin discontinues diary entries for two years after this date. 1971 July 8 - . Kamanin relieved as head of VVS space affairs and cosmonaut training. - . Nation: Russia. Related Persons: Shatalov. Program: Salyut. Flight: Soyuz 11. In a letter signed by both men, citing a Ministry of Defence decree number 0777 dated 25 June 1971, Kamanin resigns his position as assistant to the VVS General Staff for training and direction of spaceflights, and hands over this position to Shatalov..